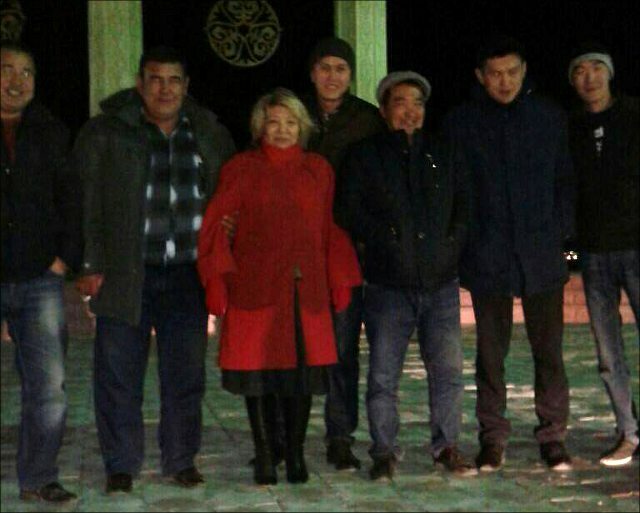 Roza Tuletayeva, a female convict in the Aktau Prison, has been released. According to Galym Ageleuov, the president of the Liberty Public Fund, mass media outlets, human rights activists and any interested in the events in Janaozen were able to obtain information only thanks to Ms. Tuletayeva. Background: Seven long months of rallies preceded a shooting of oilmen in in Janaozen in December 2011. The oilmen in strike initially advanced demands of exclusively economic nature. However, they realized that neither the government nor oil and gas company owners would pay attention to them, which led to the inclusion of political statements into the demands. The subsequent bloody events in Janaozen paved way for political repressions nationwide: opposition was crushed, draconian laws on mass media were introduced and independent mass media outlets came under pressure. A total of 19 oilmen were convicted as a result of an investigation into mass disorder in Janaozen. Mr. Ageleuov reminds that the Janaozen strike was kicked off by a hunger strike announced by Roza and her friends on 26 May 2011. The main precursor for the strike were pressures on oilmen of the KarajanbasMunayGaz (KMG) who went on strike to protest the arrest of their leader, the KMG lawyer Natalya Sokolova, for eight days in Aktau on May 17. This is exactly when a demand to release Natalya Sokolova appears among other demands the oilmen were advancing, including a salary raise, improvement of work conditions, transfer of the central government form Astana to Mangistau and the removal of the director of OzenMunayGaz. On May 26, the Janaozen City Court ruled the OzenMunayGaz oilmen’s demands illegal, in response to which Roza and her friends started a hunger strike. They were subsequently hospitalized in 12 days. Roza was suffering from acute gastric attack. She was fined for participating in the hunger strike with 100 times of a minimal salary. In June 2011, a criminal case launched against her based on Article 164 of the Kazakh Crime Code (inciting social discord). “Roza was one of those few who did not fear to tell how people in Janaozen were shot on 16 Dec 2011,” Mr. Ageleuov writes. “Thanks to this, Roza has become the symbol of Kazakh citizens’ freedom of speech and conviction. Following the shooting of Janaozen strike participants, Roza has personally come to the commandant’s office to defend her name and reputation; she was arrested there. Ms. Tuletayeva’s case among those so-called “The case of 37 oilmen,” 13 of whom were subsequently convicted, including Ms. Tuletayeva. Nineteen defendants claimed being tortured during an investigation into the case. “Roza Tuletayeva, the 46-year-old mother of three children at the time, was hung by her hair and suffocated with a trash bag and… an iron rod was pressed against her intestinal walls during questioning… When she was describing the hell she went through at the hands of the National Security Committee and police in Janaozen, nobody in the courtroom was able to hold their tears back. The lawyers filed a motion to inquire about the torture and the court required the Janaozen Internal Affairs Directorate [to report on the matter]. Police responded, claiming no torture was practiced. No investigation was held,” Mr. Ageleuov writes. Were any illegal methods of questions applied to you? What was your psychological condition? “I was unable to eat by then. There were times when I wanted to commit suicide. There was another woman in the cell with and thoughts that my death could be put on her shoulders stopped me [from committing suicide]. After December 16, I could not eat for almost a weak. I could not even open my mouth, my teeth would not open—they would cling to each other. I woman was placed into my cell and she fed me. Then I realized that I was no longer able to eat. I now suffer from mastopathy, ill kidney, stomach, feeble heart and shattered nerves… I want to say that there was discrimination during investigation… I am a native of Turkmenistan… The investigator kept insulting me, saying, ‘Why did you come here? If you do not like it here, why are you not leaving? According to the initial court verdict, Roza Tuletayeva was convicted to seven years of imprisonment, but an appeals court decreased the imprisonment term by two years. 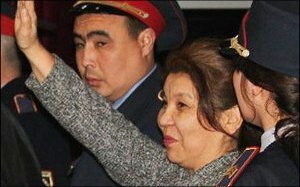 On November 19, Ms. Tuletayeva was released on parole before the official release date. She is now at home in Janaozen.